Nelson are hitting a run of fixtures which will make or break their season. And they go into the schedule in good form, having won their last two games, without conceding. 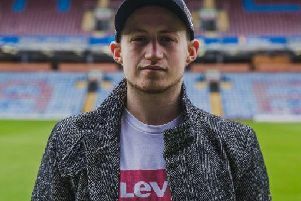 On Saturday, Andy Harrison’s Admirals beat Atherton LR 1-0 at Little Wembley, after a sixth-minute Daniel Fagan goal to claim their first home league win of the season. That came on the back of a 5-0 Macron Cup win at Maine Road the previous week. Tuesday night’s home game with Avro was postponed after the inclement weather, but Ashton Town are the visitors tomorrow, with a trip to Carlisle City the following Saturday. A place in the Macron Cup quarter-finals is up for grabs the week after at home to Prestwich Heys, and Harrison said: “The next few weeks can shape our season – a couple of wins in the league could push us right up the table, and a cup quarter-final is at stake as well. “I’m delighted with how the lads have reacted – I don’t think I’ve ever seen a dressing room as together. “We got the monkey off our back and that first home league win, after the cup win, so we have a bit of momentum. “I have big selection problems, everyone is chipping in, the lads that are being selected are keeping their shirts at the moment.